I didn’t grow up playing D&D, and while I am familiar with all the concepts and a huge fan of RPGs I only recently got into it. My roommate Ross loves Paizo Pathfinder and I am now participating in two campaigns. One is being DMed by Ross every couple weeks at our place, and the other I am playing online with his friends using a site called Roll20. 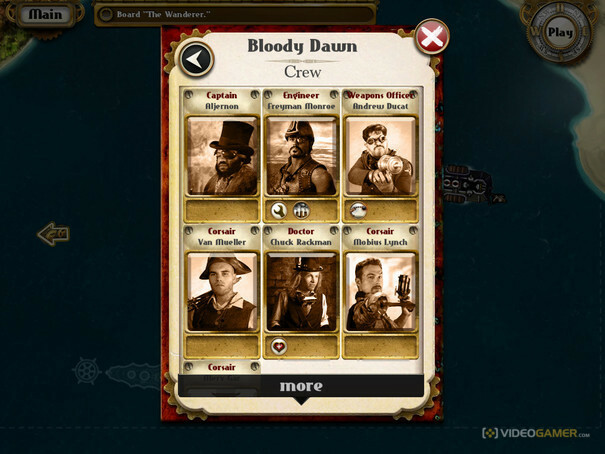 The online game is set in a semi steam punk universe where we are privateers (basically pirates). The problem is the interface for navigating ships in this game is just terrible as it is governed by the world interface that Roll20 provides. For example: you can’t turn 10 degrees to starboard in a turn, you have to turn increments of 45 degrees or nothing, and all areas within the attack envelope of your cannons are equally effective. Roll20 has a lot to offer but it sadly lacks in naval strategy. After last Thursday’s Game I decided to show Ross my favorite game on iPad so he could see what I would love to have available to us in our D&D game (not that this will ever happen). I meant for him to play it for a few minutes, he stole my iPad for three hours. 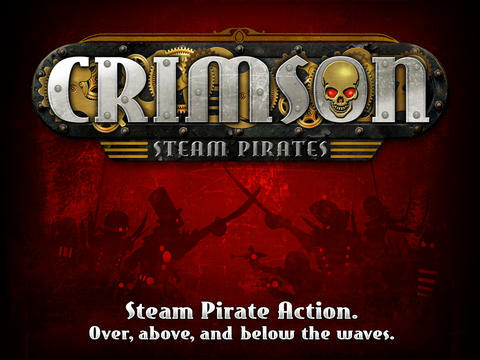 Crimson Steam Pirates (CSP) is set in a steam punk universe and is full of over the top characters, campy dialog and a fun story line which you can sink your teeth into or totally ignore as you will. There are no cut-scenes forced on you, and it’s always easy to figure out your objectives without having to read a lot. Still, it has a rich story and universe established so don’t think any of this description is meant as a put down. What I’m saying is that the game is a lot of fun, if story and characters are your thing they are there, if not then there is still a lot to love. The guest can see how far their ship will move along a path by dragging the ghost image around with their finger. By moving it further or closer to the ship’s current position the guest can adjust their momentum, one can use different abilities as well to accelerate the ship. When selecting the ship the guest can see the area of effectiveness of the attack envelopes, the range of the weapons and the effectiveness of overlapping envelopes. 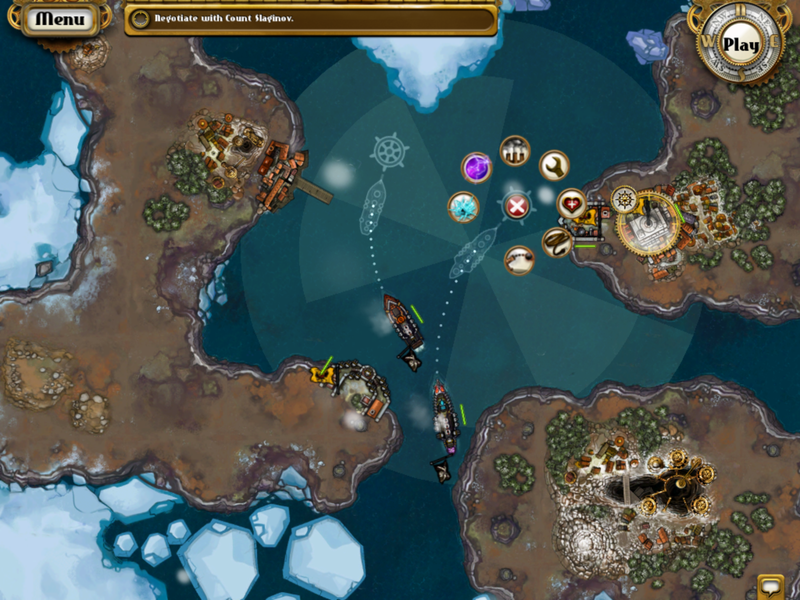 There are also a variety of abilities that can be selected each turn by touching the wheel. The best part is that these abilities are afforded by the crew members manning the ship. It adds a layer of complexity to the strategy. The guest has to think not only about what abilities they want aboard their ship, but how that crew will work together when they get into a boarding action, and how expendable certain crew members are. For example: one can’t go loosing Tesla, he’s crucial, so they don’t put him aboard their weak little scout vessel, or maybe they do, with two engineers so they can constantly repair it and this gives them the ability to quickly strike all over the place with their Tesla gun. But, you wouldn’t want to run that vessel up along a large command ship and board her since the scout’s entire crew is going to have too weak a combat rating to let you take the other boat or win much treasure. It’s awesome design and the levels are also well thought out and scale beautifully. 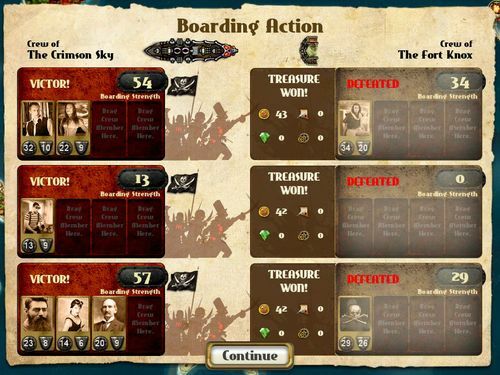 As the game scales up it becomes quite challenging, so you are often getting a great sense of fiero (epic win satisfaction), there is certainly the fun you get from the story they put out there and the wonderful sense of adventure it creates, and (whether or not it’s true) it makes you feel like you are becoming an awesome strategist and sea captain. It’s not really a social game, but then I’m not a huge socializer (though I hang with my CSS crew and play some Civ with my friends, and hey I’m really getting into this D&D thin). I could go on for some time about this, but don’t take my word for it, check it out for yourself on the app store, the first third of the game is free, I’ll wager you buy the rest.